Siamese Fighting Fish Natural Habitat, javanesebettafishcare.com | Siamese Fighting Fish is one of the more than 70 known types of betta fish in the world, even the hickey fish for the contest begins with siamese fighting fish. The scientific name of siamese fighting fish is Betta splendens. The word splendens comes from the Latin which has a brilliant, shiny, or shining meaning. while the word Betta comes from the name of a brave tribe called Bettah. Do you know where the siamese fighting fish natural habitat, what water temperature range, what is the food, and what country is it from? 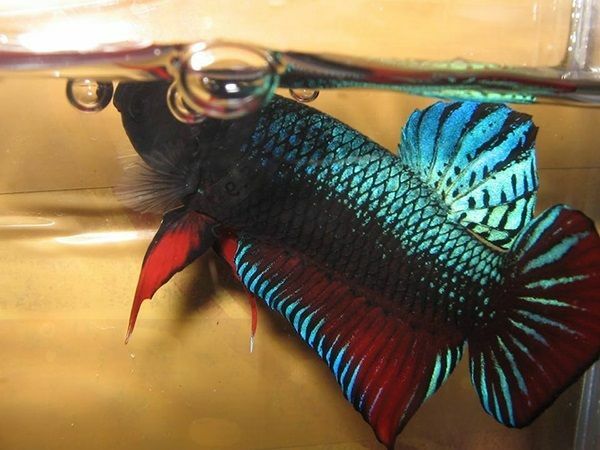 In addition, do you know what characteristic features siamese fighting fish? 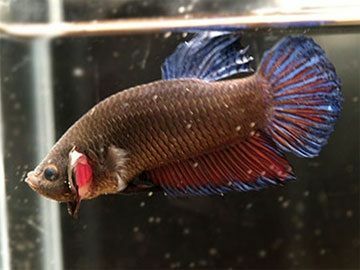 You will find it difficult in the store of ornamental fish shop, even if there is a price must be very expensive, it is because this betta fish including rare animals. In fact, siamese fighting fish is listed on the IUCN with a vulnerable status. Okay, let's see this wild betta fish in its habit. Thailand, Laos, Vietnam and Cambodia is a country inhabited by siamese fighting fish, precisely in mekong river. Siamese fighting fish is living on water that has a temperature of 24 º C - 30 º C, and pH 6-8. Body length can reach 6.5 cm. What do these betta fish eat in the wild? 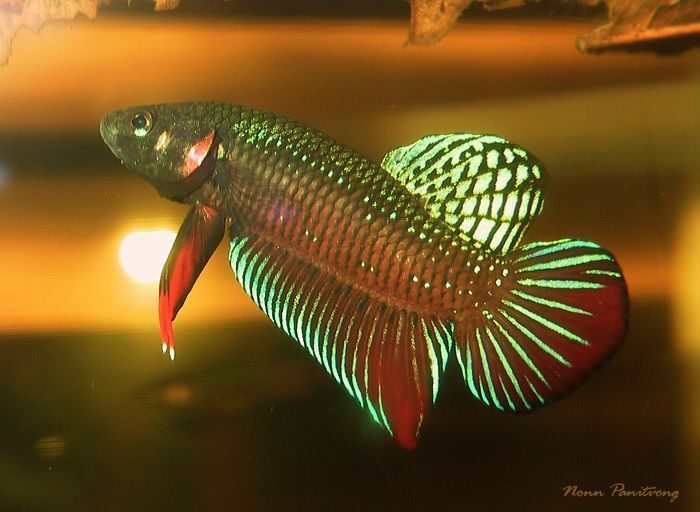 Betta fish include predatory fish, and the food in the wild is zooplankton, mosquito larvae and other insect larvae. Its very aggressive, will attack other fish approaching its territory. How does this hicky breed? 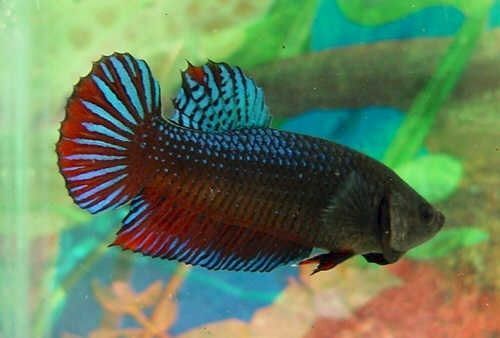 Just like most other types of betta fish, this fighter fighter will make bubbles or foams for male fish as eggs. That's a brief explanation of siamese fighting fish natural habitat (Betta splendens), hopefully you read it understand what I write. If you do not understand, can ask in the comments field.